There are now three films that belong to the extended DC film universe; Man Of Steel, Batman v Superman: Dawn of Justice and Suicide Squad. Collectively those films have cost around three quarters of a billion dollars. At least three more are on their way, and probably more after that. What’s happening here is consequence of what the Marvel studio set out to do following the release of Jon Favreau’s Iron Man in 2008, and continues to do to varying degrees of success. Other studios detected the possibility of Marvel-esque income and followed suit with enthusiasm but without care. Regardless of how you feel about what Marvel has done, the manner in which they began to approach the possibility of intersecting film narratives was cautious and meticulous. They had also established a level of quality before committing to the concept with any real obligation. DC (for the uninitiated, Marvel and DC are the two dominant comic book publishing companies that have recently extended themselves to filmmaking) have displayed a degree of entitlement and expectancy in their approach, eagerly planning a future to a film series that, however financially successful, has received critical derision. That’s not the sort of behaviour to engender fondness amongst fans. David Ayer’s Suicide Squad is the third in a string of very poor films from DC. With Zack Snyder – a man who ought to be removed from Hollywood for at least a decade to give him time to think about how much money he has wasted in the pursuit of inadequate filmmaking – behind the wheel of the two upcoming Justice League films, it may be unwise to trust to hope. Patty Jenkin’s Wonder Woman is set for release in June next year. That’s a certainty. Beyond that, the release dates of Rick Famuyiwa’s The Flash and James Wan’s Aquaman films are beginning to look like anything but. 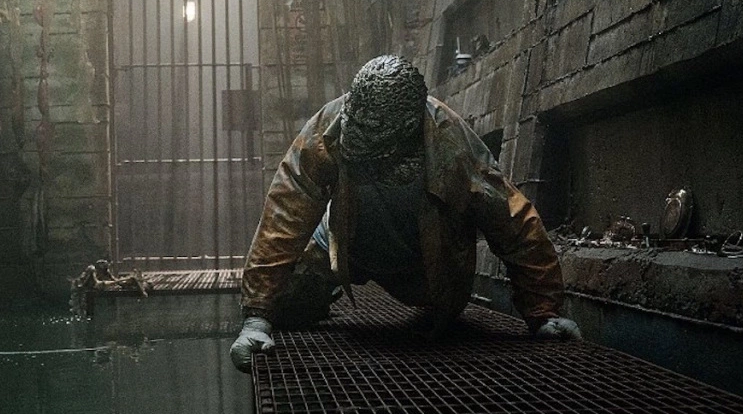 For all the marketing manipulation, Ayer’s Suicide Squad is as generic and uninspired as Snyder’s contributions to the DC universe, regardless of forced tics that suggest that Ayer was under the impression that he was in the process of creating something unique and special. Rarely has comic book movie fatigue felt so immediate. DC isn’t just doing itself a disservice, it is reflecting poorly on Marvel, and every other studio out there clamouring to be part of this unfortunate cultural revolution. Count the upcoming releases – Kong: Skull Island, Jungle Book: Origins, Robin Hood: Origins, King Arthur: Legend of the Sword and The Mummy, the latter of which is intended to be a piece of Universal’s monster universe (Wolfman, Dracula, Frankestein etc.). There are undoubtedly many more in production or on their way to production. They may turn out to be fantastic, or they may breed a string of wasteful releases. Will we look back on this era as an peculiarity, or a sign of things to come? Unlike most superhero films, Suicide Squad revolves around the deeds of villains, rather than heroes. Amander Waller (Viola Davis) is a government agent who has assembled a task force of villains, enforcing coercion with a bomb in each of their necks that will detonate should thaey abscond from any mission that she sends them on. This might be a neat trick on Waller’s part but it leaves Ayer unsure or incapable of treating these characters as what they are – villains. 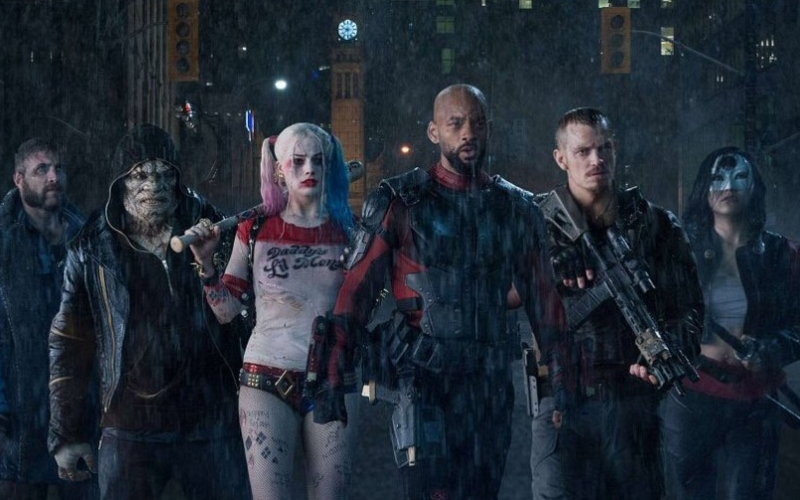 Despite a handful of periodic moments, and the relentless insistence from each of the squad that they are the bad guys, Suicide Squad hits the same narrative, character and emotional beats that comparable films that centre around a team of heroes might, and it does it worst than most of those films. James Gunn’s Guardians Of The Galaxy comes to mind. That film had a similarly complex job of establishing a number of protagonists and antagonists over the short course of a film whilst maintaining a satisfying narrative. That film also set itself apart from the universe in which it exists (Marvel’s) with an offbeat, irreverent tone. It’s not difficult to imagine that Ayer also had Guardians Of The Galaxy on his mind during the production of Suicide Squad. Ayer’s film is a reminder of just how much Gunn managed to achieve. Suicide Squad is boring and it is stupid and much of what happens in it is either incoherent or implausible. It also delivers inadequately on the central hook of the film – that the members of the team are villains. Ayer’s villains are heroes who have done a lot of bad things, off screen. Promising ideas are exposed and subsequently explored so haphazardly that it’s difficult to recall anything else than a loud mess. Do you care about any of the protagonists on the screen? Do you care about what they’re trying to do? For all the moments in which Ayer forcefully insists emotional or narrative motivation, nothing sticks. It may all seep out of your brain through your ears as you exit the cinema. The comparisons to Marvel’s franchise are inevitable. Marvel has been responsible for a couple of great films, and many moderate ones. They have never released a film as poor as Man Of Steel or Batman V Superman or Suicide Squad.